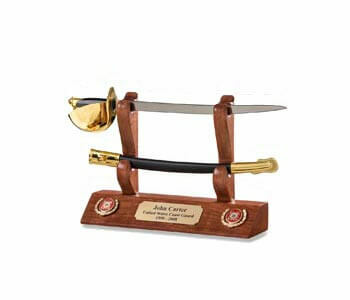 U.S. Marine officers and NCOs have carried swords since the American Revolutionary War. 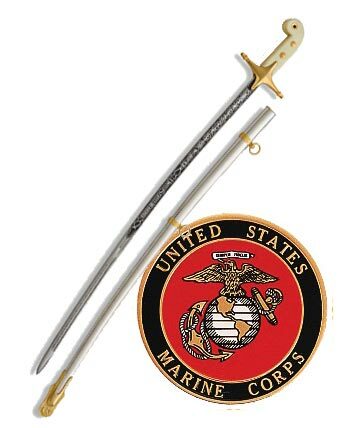 During the earliest years, the swords worn by Marine NCOs are believed to have been based on Army patterns, though not necessarily the exact swords used by Army NCOs. 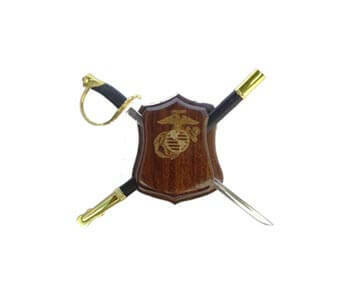 By approximately the mid-1820s, however, Marine NCOs began wearing distinctive short sabres with cast brass eaglehead hilts and curved blades. 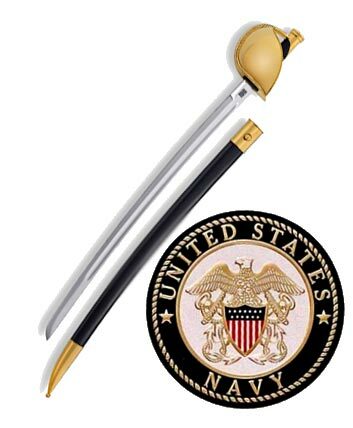 About this same time, in 1826, Marine Corps officers also began wearing a distinctive new sword of the Mameluke style, similar to those worn today. 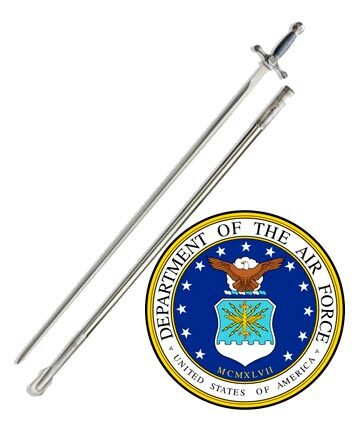 In 1859, a completely new sword pattern was introduced for Marine Corps officers, who were instructed to wear the same sword then worn by Army foot officers since 1850. 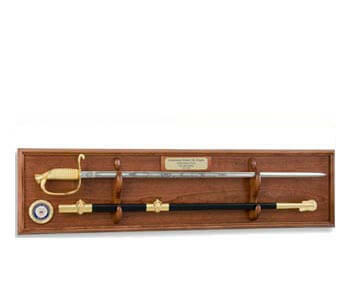 In addition, in 1859 a similar sword was authorized for wear by Marine NCOs, so that the swords worn by Marine officers and NCOs appeared to share very nearly the same pattern and characteristics. 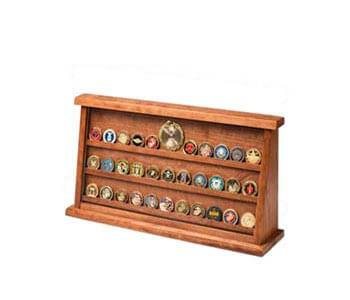 The Marine NCO version, though similar to that worn by Marine officers, had several differences. 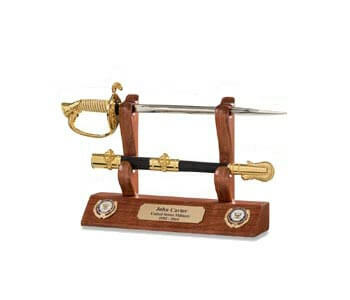 Among the most noticeable, NCO swords had plain brass hilts and scabbard mounts, whereas officers’ hilts and scabbard mounts normally were gilt. 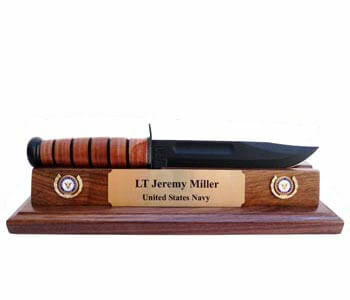 In addition, the grips on NCO swords were wrapped with leather, whereas those for officers were usually covered with sharkskin. 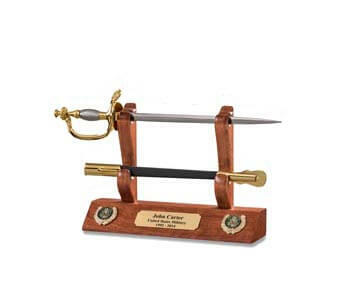 Finally, NCO scabbards had only two scabbard mounts, consisting of a top mount with frog stud and a scabbard tip, whereas officers’ scabbards bore three mounts, including upper and middle mounts fitted with carrying rings. 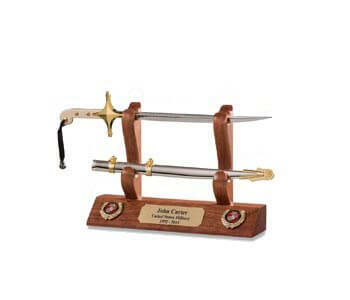 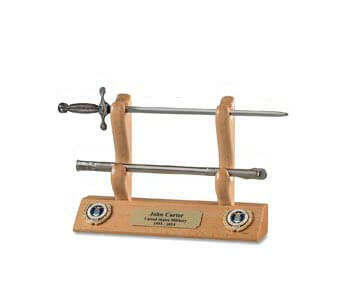 The sword worn by Marine NCOs since 1859 was also carried throughout the American Civil War. 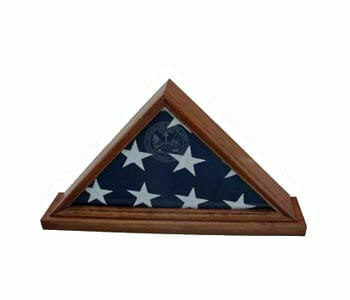 With only slight modifications since that time, it has maintained its distinctive and traditional appearance. 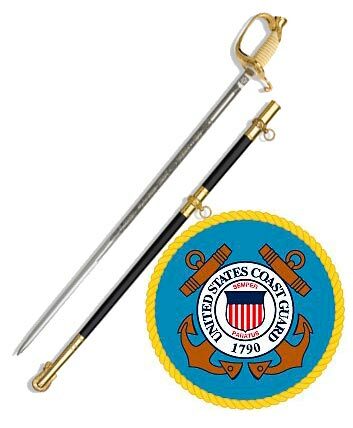 Even though the Navy Officer Sword is older, 1852, it was discontinued until reauthorized during the (1900s) the M1859 Marine NCO sword is the oldest weapon in continued (unbroken) service still in U.S. inventory. 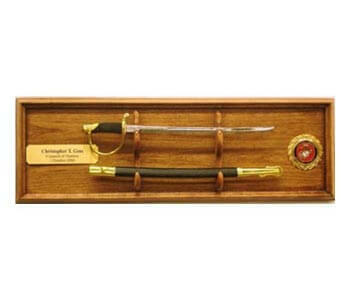 Marine Corps Commandant Archibald Henderson adopted the Mameluke sword in 1825 for wear by Marine officers. 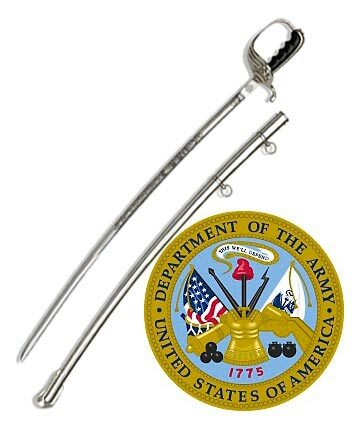 After initial distribution in 1826, Mameluke swords have been worn except for the years 1859-75 (when Marine officers were required to wear the U.S. Model 1850 Army foot officers' sword), and a brief period when swords were suspended during World War II. 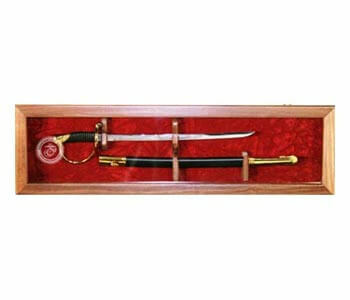 Since that time, Mameluke swords have been worn by Marine officers in a continuing tradition to the present day.